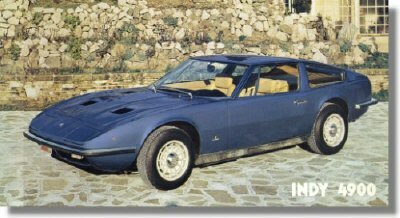 1973 Maserati Indy 4900 Sales Sheet. This is an odd-sized sales sheet for the Indy 4900. The front shows a beautiful shot of the Indy, the back shows a further 3 shots + technical details. It measures approximately 13 x 6.5 inches.